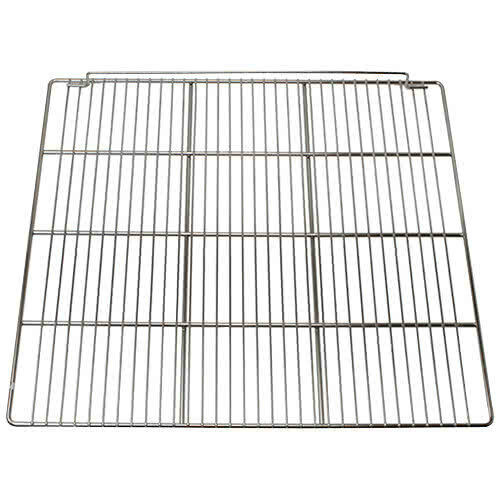 Turbo Air 30278Q0200 Stainless Wire Shelf for Turbo Air TSR-49SD & TSR-72SD, 24.5" x 23.5"
Stainless Wire Shelf for Turbo Air TSR-49SD & TSR-72SD, 24.5" x 23.5"
The Turbo Air 30278Q0200 stainless steel wire shelf is durable enough to withstand movement of heavy products and is resistant to corrosion. The open-wire design allows for airflow that helps ensure the unit can maintain proper holding temperatures without overworking the refrigeration system. The unit ships with four shelf clips. 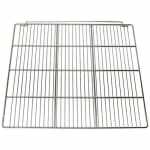 The Turbo Air 30278Q0200 stainless steel wire shelf is designed to fit in Turbo Air TSR-49SD and TSR-72SD refrigerators. Overall Dimensions: 24.5 in. x 23.5 in.